I hope everyone is having a Happy New Year so far. 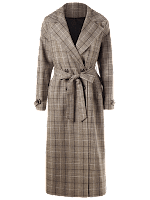 Today, I'm talking about the plaid jacket trend and am sharing a couple of my favorite designs from Stylebest. 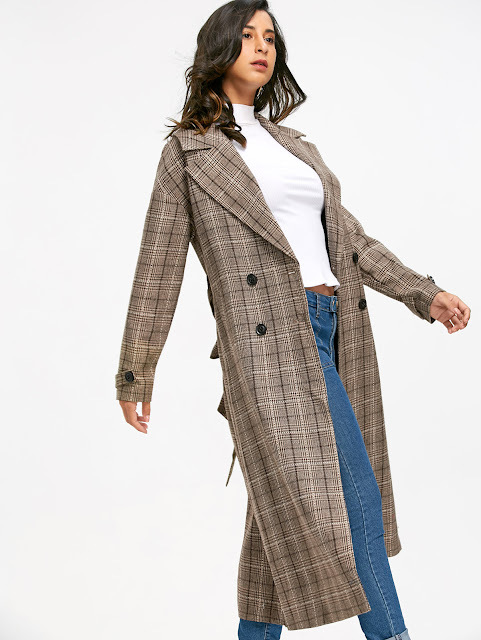 We all saw the plaid jacket and blazer trend burst onto the fashion map this past Fall, and I personally hope they stay around for a while. If you want one and haven't taken the plunge, I've found two polished and super sleek styles that won't break the bank. 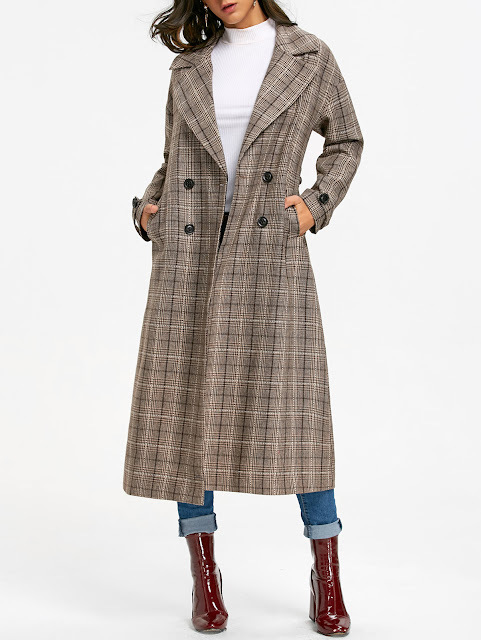 First, is this double breasted belted plaid trench coat. I really like the longline silhouette. 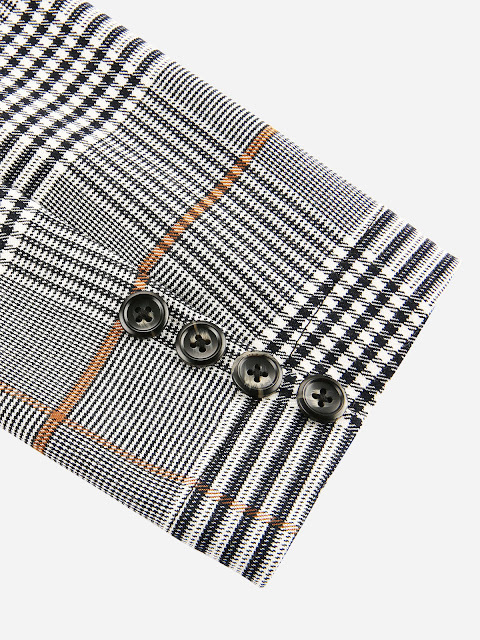 Even when wearing this jacket unbuttoned, it is still very flattering. 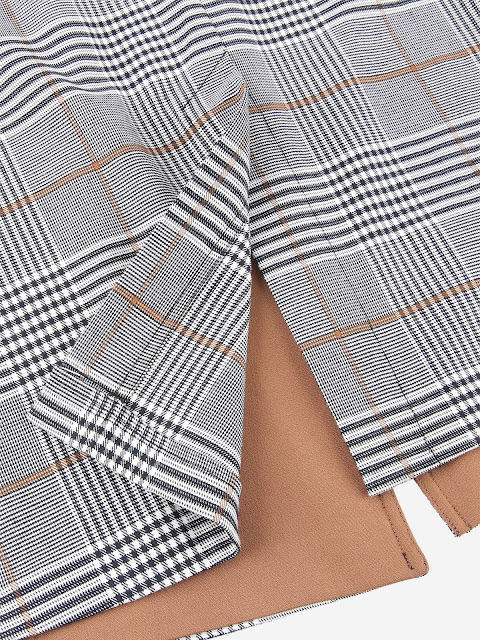 The pops of warm tan within the cool grey are preppy and modern at the same time, making this jacket super easy to wear to the office or with a pair of jeans. This would look great accompanied by some white booties or pumps. This jacket is a mix of polyester, viscose and spandex and does have a very slight stretch to it. I would order a size up if you like to where thick sweaters under your jackets. 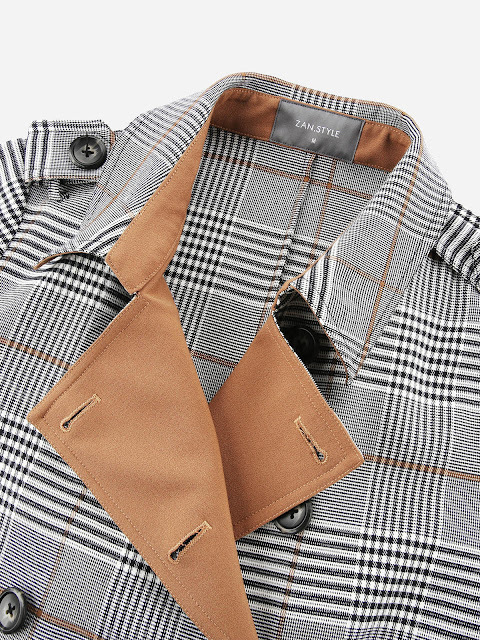 While this jacket may look high-end, the price isn't. At just over $60, it's a jacket you'll want to buy and keep as a staple in your closet. 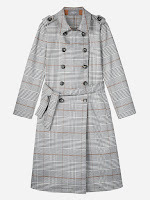 Next is the this khaki grey double breasted checkered trench coat. 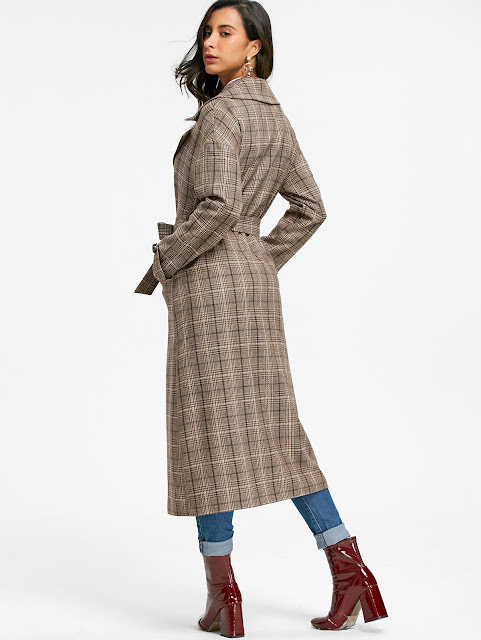 This jacket is less fitted than the first with a more standard cut, but easily transforms into a fitted silhouette (if that's what you prefer) by using the plaid belt it comes with. I really like the notched lapels detail. At a $33 price tag, this jacket is an absolute steal. 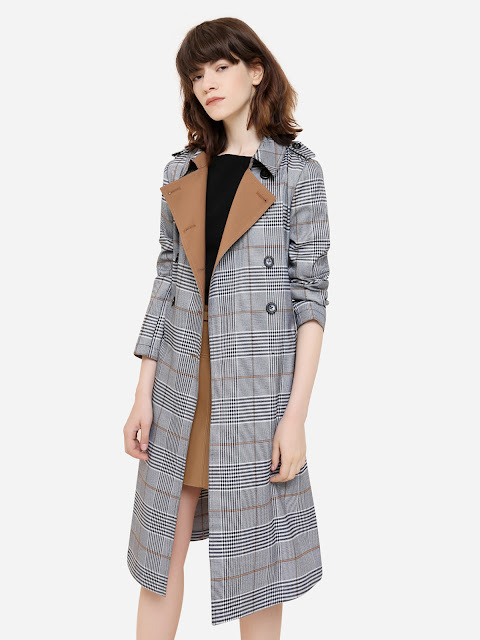 Again, this jacket would be great for the office or simply paired with some jeans and booties. Just like the image, this jacket pairs great with wine colors, which are right on trend this Winter. This post was created in collaboration with Stylebest. All thoughts and opinions are my own. 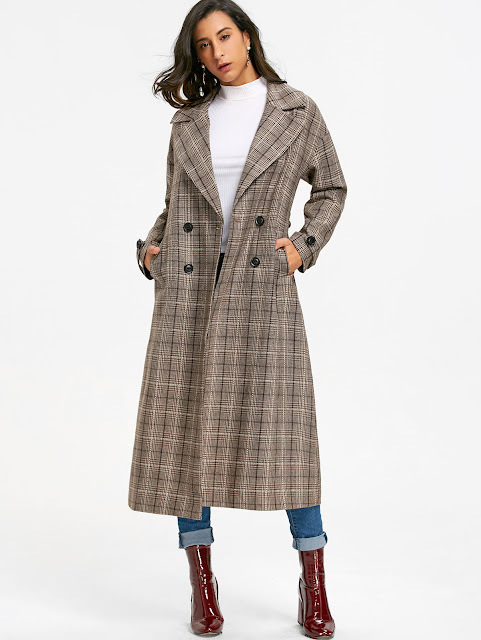 Not one but two super cute plaid trench coats, each at a fabulous price???!!! OOH love both of these. I have been on the hunt for the perfect plaid jacket. Love this trend! These jackets are super cute and go with pretty much anything. Love them. Thanks for stopping by! Now I'm convinced I need a plaid jacket. Such a cute trend. That jacket is so cute! I love the first one! Me too. I had a hard time deciding but that one is my favorite, too. This is such a pretty jacket and a killer price point! Great find girl! Right? Such a great deal. Thanks! Such a classic look. I don't wear long coats because I think I'm too short. I liked the second coat. The color and it looks warmer. Thanks a lot. I really like them both.